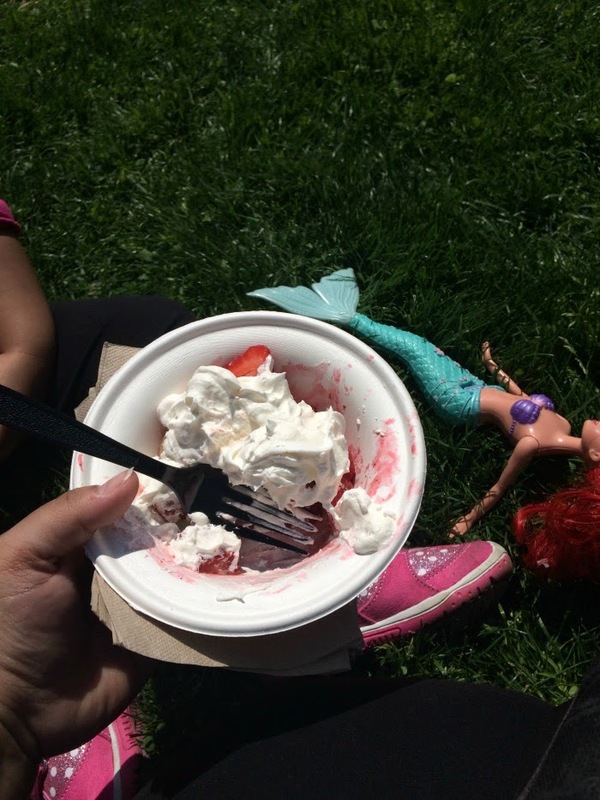 Sitting on the grass with some strawberries and cream, the toddler and The Little Mermaid! That looks so good. Strawberry picking season will be here in MA next month and I can not wait. Love strawberries (or raspberries) topped with whipped cream--or just some heavy cream unwhipped. Guess it is time for me to head to the store since it is now in my brain!! I love spring for lots of reasons, but one of them is definitely for the fresh strawberries. This looks like a bowl full of heaven.